Improvised Intentions: Day 5, Sunday: Publicly profess your love and devotion for one of your blogger friends. 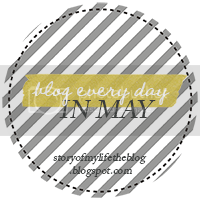 Day 5, Sunday: Publicly profess your love and devotion for one of your blogger friends. Jasmine is a very active blogger! I see her commenting here and there so we must run in the same circles, but I love that. I think she found my blog through one of the blog hops that I've signed up to in the past and I'm so glad she did because it lead me to hers. Her blog has such a mix of real-life things and beauty/(amazing) eye shadow ideas, and it really keeps me going back for more. I like that Jasmine doesn't just agree with things I post, and that she tells me her own ideas too - that's what makes it so interesting. I'd like to be Jasmine's friend in real life too, or is that one of those things I shouldn't admit? Natasha is obviously the girl that first introduced me to the idea of a Project Pan, and I'm so grateful for that! I like that she gives honest reviews and that she's also an active blogger as she pops up quite frequently with comments. It might be weird but I like that she lives so far away because it feels like I can peek in on another different part of the world. She's recently got engaged and I'm perched on the edge of my seat in anticipation of the story.. I hope she shares it! and all her new adventures of course. Both of these lovely ladies can be found on my blog list at the bottom of this page, and both have GFC should you wish to girl-crush along with me! Well this went better than.. wow Stacey you creep, haha! Oh super! They're my favourite too, but I thought others might find them a little boring. and yeah, I definitely agree with the same comments issue, keep up the discussion I say. girl crushes are normal right? I try to explain that to my male friends a lot..